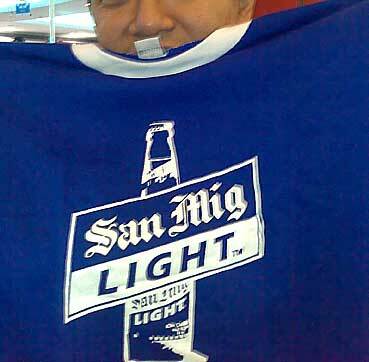 Beerkada Comics » Beerkada is now officially endorsing San Mig Light. 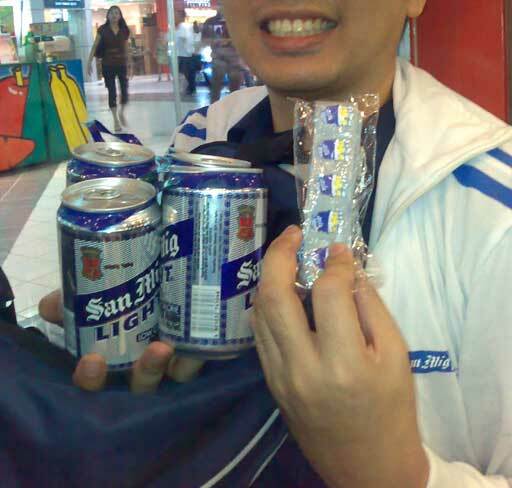 Beerkada is now officially endorsing San Mig Light. I am signing an MOA with San Mig Light that will let Beerkada endorse the beer brand. 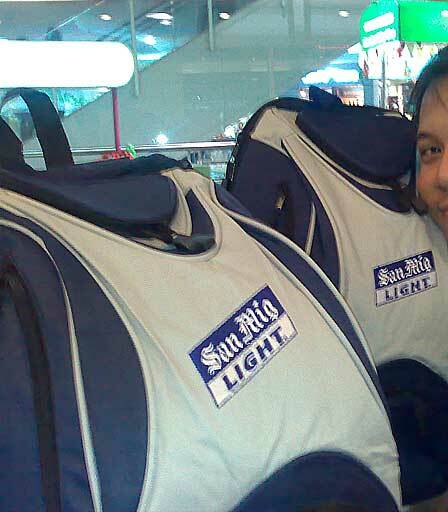 Beerkada will appear in San Mig Light buckets, those blue-and-white containers that carry six bottles. It will also appear in collectible full-colored buckets, available in convenience stores. NOOOOOO WAAAAAAY!!! THAT IS SO COOOOOOL!!! Congrats on getting the contract!!! Balato naman dyan! The drawings are actually going to be on the bucket, not the drink itself. eh? what website should I have put? I don’t have my own website or anything, chompy. Kenmikaze: Red Horse is the Devil! Until they get me to endorse them. Until then, ITO ANG MALI. SanMig: (whispers) Red Horse is under San Miguel. o-rayt! kaso, how can we collect the buckets? weh. naja: I think, when you go to a bar and order 6 bottles of san mig light, the bucket comes free with it. I think I saw 7-Eleven doing this before. But the designs of those buckets are not yet beerkada characters. Not sure when the new ones will be printed.